Photo: Italian Exhibition Group S.p.A.
European Strategy for plastics and its developments; the most advanced experiences of the circular bioeconomy in OECD countries and Industry 4.0 applied to waste management and use; the protection, recovery and reuse of water resources. 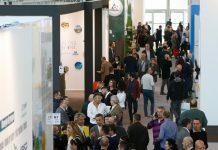 These are just a few of the issues at the centre of the flagship events of the next edition of Ecomondo, organized by Italian Exhibition Group, from 6th to 9th November 2018 at Rimini Expo Centre. They will form the core of the comprehensive programme of meetings and conferences organized by the Ecomondo technical-scientific committee (chaired by Professor Fabio Fava) which every year involves very high profile experts and organizations (academical bodies, associations and institutions) from Italy and abroad. The international flagship events will involve a large number of Italian and foreign speakers among the most qualified in the various sectors. The panel is conceived by the technical-scientific committee to ensure the in-depth coverage of the hottest topics in the various evolving sectors of the green and circular economy. A total of 25.8 million tonnes of plastic is produced in Europe every year, whereas plastic waste has a total weight of 49 million tonnes: less than 40 per cent is recycled. At Ecomondo the eCircular project promoted by Climate-Kic with the University of Bologna as group leader will indicate the possible actions for drastically reducing plastic’s effect on the environment. Closely connected with the plastic issue, the problem of marine litter is confirmed as a particularly important topic for Ecomondo, who will propose for the third consecutive year, along with Legambiente and Enea, the conference on the prevention and management of marine litter, with the sector’s top international experts, ready to put the most recent knowledge and expertise on the matter at everyone’s disposal. Circular bioeconomy is by no means new terrain for the OECD. The international organism is taking part directly in Ecomondo with the event Circular Bioeconomy: National Case Studies of Innovation Ecosystems. By means of the participation of top exponents of the respective countries, a comparison will be possible between the cases of Japan, USA, France, Finland, Norway, Sweden, Belgium and, obviously, Italy. The event will be chaired by OECD representative James Philip and Philippe Mengal, executive director of the BBI JU, the European Union’s public-private joint undertaking dedicated to developing the bioeconomy in Europe. 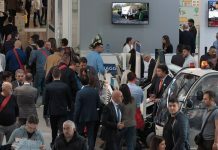 The avant-garde of research and its application to the management and exploitation of water resources will be another important chapter at Ecomondo, with the Global Water Expo section in close collaboration with Utilitalia. A key event, being held for the first time in Italy, and for the first time in a southern European country, will be the European Nutrient Event, a two-day event organized at Ecomondo by the European Sustainable Phosphorus Platform, a body that at European level, along with some member countries, promotes research on the recovery from urban wastewater of phosphorus, a raw material that causes problems. 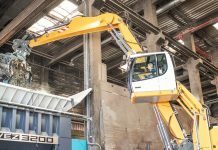 On the other hand, Industry 4.0 for greater efficiency in waste management and use will be at the centre of a meeting organized by the Ecomondo technical-scientific committee along with the CNR and the Universities of San Marino and Bologna. In fact, robotics and automation are essential for improving the selection of waste after its collection, while the Internet of Things and data analytics contribute to making logistics “smarter”. Among the events to be remembered there is the tenth edition of the Sustainable Development Award, promoted by the Foundation for Sustainable Development in collaboration with Ecomondo. The Award will be assigned to the best enterprises in the sectors Water and resources, Sustainable construction and Energy from renewable sources. The competition was launched a few days ago. The awards ceremony will be held at Rimini Expo Centre, on 8th November, during Ecomondo. Source: Italian Exhibition Group S.p.A.
Nächster ArtikelSingle-use plastics: A political or environmental decision?